Combine the breathtaking beauty of Antigua with Sunlinc -- one of the Caribbean’s leading DMCs -- and you have a guaranteed recipe for success. 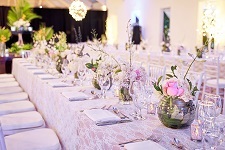 With years of experience in understanding the needs of the most demanding international clientele, Sunlinc prides itself on being able to offer spectacularly innovative events while incorporating some of the most fascinating and unique venues that Antigua has to offer. With an eye for personalized service, each client relies on us for exceptional creativity and that extra touch of magic which makes every program remarkable. The diversity of our international Team makes us the perfect choice to design the ultimate program for you. Through excellent relationships with our Hotel and Supplier partners, we are always abreast of the latest trends and are here to assist you every step of the way to ensure that each goal is met with success, no matter the size or complexity of your program. Incentive programs play a critical role in drawing attention to organization values, driving the behaviors that count, fostering loyalty, commitment and encouraging participation. 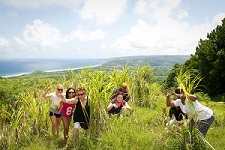 Positive recognition through Incentive Travel is the most effective way to achieve success. It is with this philosophy that Sunlinc approaches every client – with the knowledge and understanding that the success of your program drives your Team and all future business. Combining the alluring array of accommodation options in Antigua with a smorgasbord of gastronomic glory and one might think that the story ends there. But far from it – indulge in catamaran sailing, deep sea fishing, Jeep Safaris, swimming with the Stingrays, zip lining, rainforest exploring, Nelsons Dockyard . . . and the list goes on and on. Entrust your next event to Sunlinc and let us show you why our professionalism, creative approach and unmatched local expertise of all things Antigua, guarantee you complete peace of mind. With meticulous attention to detail, you are our number one priority and our passion for your success shines through.